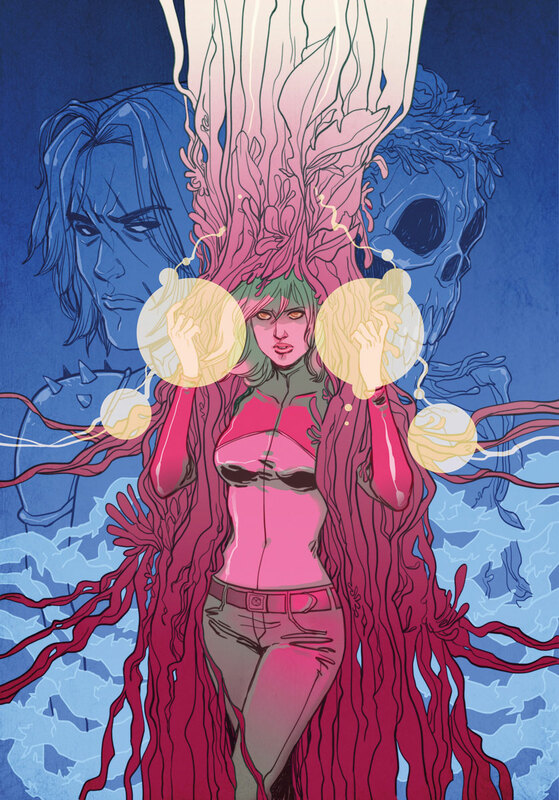 The Fellowship was fortunate enough to obtain a copy of BOOK OF DEATH: LEGENDS OF THE GEOMANCER #1 from Valiant Entertainment. Fred Van Lente writes, Juan Jose Ryp draws and Jordie Bellaire colors. Anni is a shaman of the tribe of Nergal. She has foreseen the end of Nergal’s reign, brought about by the earth itself. Nergal’s response is to sacrifice Anni to appease the earth. On the journey to the place of sacrifice the party is attacked, though Anni is bound and gagged. They do reach the temple, but Anni is fierce and cunning, and will not go down without a fight. This book does a wonderful job of showing how brutal the lives of these people can be (the timeframe is not specific, but the weapons are made of bone and rock). The fight scenes are vicious, and their treatment of Anni is harsh (except for the warrior Padda, unsurprisingly). The art conveys this brutality beautifully, with a level of realism that is both refreshing and shocking. Will this series explain the mysteries of the geomancer? I hope not, but I think it will give us a bit of insight as to what the geomancer means to the Valiant Universe. And it’s a great read, so pick it up. BOOK OF DEATH: LEGENDS OF THE GEOMANCER #1 is available now at your FLCS or at valiantuniverse.com.